This renowned international nonprofit hired Capacity Partners to evaluate its capacity for launching a legacy campaign to fulfill the vision of its charismatic leader, Jane Goodall. 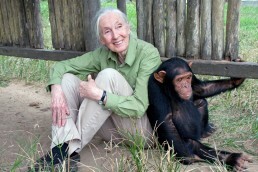 Founded in 1977 by primatologist Jane Goodall, the Institute had excellent name recognition and many loyal supporters. However, as the organization prepared to celebrate its 30th anniversary, its development program was overly focused on smaller donations solicited via direct marketing, We needed to find a way to significantly expand the fundraising reach of this major educational/scientific nonprofit so that it could continue to grow and pursue its mission. Working with two vendors of data-mining services, Capacity Partners designed and implemented an exhaustive assessment of the giving capacity of supporters. The resulting prospect analysis included evaluating 100,000+ potential donors in order to identify major gift opportunities. The process pinpointed the incredible possibilities of many potential high-level donors who already supported Goodall’s work, but who had not been cultivated for larger gifts. Capacity Partners prepared the Institute for high-end donor cultivation, putting a major gift program at the top of its agenda and creating a framework for an ambitious campaign based on intense cultivation of the 2,000 key donors identified through the prospect analysis as having very high major gifts potential.